The ESA is a bedrock American environmental law that provides a backstop against loss of our natural heritage and deserves our best efforts to protect it. 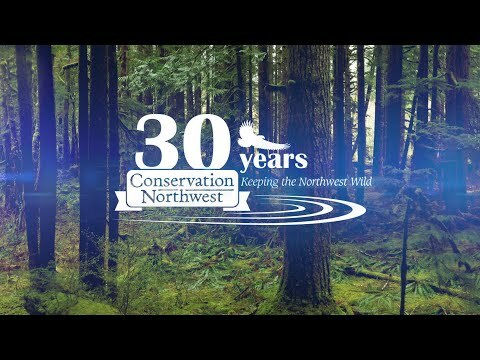 Conservation Northwest has been a staunch supporter, defender, and active participant in the Endangered Species Act (ESA) throughout our 29 years as an organization. Be it grizzly bears, Canada lynx, wolves, spotted owls or marbled murrelets, the ESA has allowed us and many other groups to work with federal and state agencies to keep wildlife species from falling into the extinction abyss. It is a bedrock American environmental law that protects our most vulnerable wildlife, provides a backstop against irretrievable loss of our natural heritage, and so deserves our best efforts to protect its future. We also take great care to seek collaborative solutions wherever possible that allow for species recovery to be resilient and durable, both ecologically and socially. That requires creativity, openness to the concerns of people affected by implementation of the ESA, and a willingness to look for innovative solutions that simultaneously buttress wildlife health and human well-being. From our partnership with the National Park Service and Washington Department of Fish and Wildlife to reintroduce fishers to Washington state, to our collaborative Range Rider Pilot Project with local ranches that’s reducing conflict with wolves, we’ve worked diligently to advance proactive, win-win approaches to wildlife recovery while supporting local communities and economies. On July 25, the federal government published a package of proposed changes to the regulations implementing parts of the ESA with a 60-day comment period. In the best of times, we would look critically at any proposed changes to the ESA to ensure that there are no intentional or unintentional weakening provisions. These are however nowhere near the best of times. This proposal needs to be understood in the context of other actions being taken by the Department of Interior, including drastically reducing National Monument boundaries in contrast to millions of public comments and specifically to make it easier to increase mining, logging, and drilling on sensitive lands, eliminating the need for oil and gas companies to pay for damages to public lands, and rescinding important science guidance to the National Park Service for how to manage our National Parks in the face of climate change and other threats to their integrity. And then there is the onslaught of ESA changes being introduced into Congress both through the federal budget and as stand-alone policy bills. As detailed here, both the regulatory proposals and efforts in Congress are a coordinated effort intended to take advantage of the current Republican control of both houses of Congress and the White House, and has heavy involvement from lobbyists from the extractive industries. Many proposed legislative and regulatory changes are things that opponents of the ESA have wanted for decades. Through this lens, even well intended tweaks to make implementation more effective and less expensive can become suspect. On first read, the proposed changes are a mix of rather large and alarming revisions and some things that the U.S. Fish and Wildlife Service (USFWS) and NOAA Fisheries already do to address valid issues. The alarming ones include removing what is known as the “blanket 4(d) rule” that provides Threatened species with the same protections as Endangered species unless a specific and tailored 4(d) rule is written. Given the backlog of work and lack of adequate funding, such a weakening could render such designations meaningless. Other worrisome changes to implementation of Section 7 of the ESA include weakening the requirements of other federal agencies to consult with USFWS on projects that could alter habitat or otherwise harm listed species. In addition, the supporting material to the proposed changes state that the agencies will take comments on broader changes to the regulations than are being proposed, and may make those changes even if they go beyond the specifics laid out in the Federal Register. That sounds like a recipe for mischief. While there is a lot of wonky policy stuff to wade through to give a fair but critical assessment to the proposed changes, Conservation Northwest’s approach is to be wary and vigilant. We support efforts to ensure that the ESA is as effective as possible and are willing to take a clear-eyed view of improving regulations to that end. We would rather have that discussion under an administration and Congress whose intentions we can trust. As the 60-day comment period progresses, we will submit formal comments and share a WILD NW Action Alert with talking points for our members and activists to use their voice in support of this bedrock environmental law. In the meantime, a positive place to focus is working get Recovering America’s Wildlife Act passed to significantly amp up funding to states for improving the prospects of at-risk species. The greatest barrier to wildlife conservation in our nation is the chronic underinvestment in proactive, on-the-ground collaborative conservation efforts for species of greatest conservation need, before these species require emergency room measures under the Endangered Species Act. We continue to work with local and national elected leaders to pass this monumental bill. Learn more about our work for endangered wildlife in Washington and British Columbia on our Restoring Wildlife webpage.